At Nebraska Aquatic Supply, we have a wide range of choices for clients looking for saltwater fish. We even have in our collection hard-to-find and rare fish species that you can't see in other stores in Nebraska. Visit us today so you can see first-hand the beautiful fish species in our aquariums. Our friendly staff will be glad to help you choose your preferred type of fish and other supplies for your aquarium. 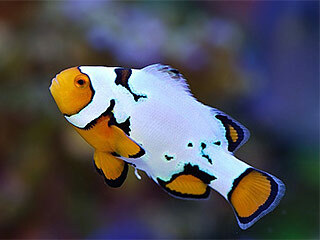 We also have a huge inventory of saltwater fish, so we can supply the demand of our clients. In fact, all of our previous clients from Council Bluffs, Irvington, and Omaha were very happy about the wide options that we have in our store. We're sure that you'll also find one that will be perfect for your aquarium. You may also call us at our hotline so we can prepare your requests before you drop by at our store. The great thing about getting your saltwater fish from us is that we sell it at client-friendly rates. We are probably the only pet fish store in the Council Bluffs area that can sell various types of fish species at competitive rates. This pricing strategy is not intended to kill competition but is focused on encouraging more people to engage in a wonderful hobby. In addition, our extensive network of pet fish lovers and collectors allows us to offer our saltwater fish at a lower price. We also have reliable partner vendors in the country where we source most of our collection. And for clients who have special requests, we can easily find the species they want because of our linkage with other collectors in Japan, Australia, Hawaii, and Indonesia. Our large facility allows customers to easily select their desired fish species. Our livestock is properly grouped and kept in 6000-gallon display tanks. This setup makes us the largest aquarium store in Council Bluffs, IA and surrounding areas. We also have in our tanks different varieties of Hawkfish, Groupers, Basslets, Blennies, Hogfish, Lionfish, Wrasses, Triggers, Rabbitfish, Hamlets, Squirrelfish, and Sweetlips. If you're looking for types not mentioned in this list, just tell our staff and we will do our best to source them for you. 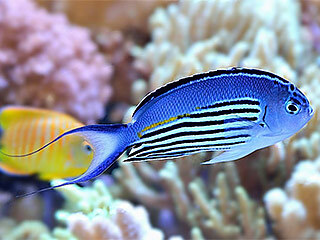 Aside from providing healthy saltwater fish, we also have other supplies for saltwater aquariums. We highly recommend our high-end corals that you can place in your saltwater aquarium. You can also opt for our inexpensive frags, and let it grow into a beautiful colony. We also have plants, stones and supplies to make your aquarium look more natural and attractive. And don't forget to get your aquarium equipment from us. We carry the best brands in the industry so you won't have to worry about getting frequent replacements for your pumps, skimmers, and other vital aquarium components. We also offer setup and installation at budget-friendly rates. Just tell us your requirements, and we'll work out the best design and setup. Call us today at (402) 934-8206 for your inquiries.